The quaint timbered houses of the German town of Celle recall the center of Britain’s most picturesque towns and villages. What is less obvious to the naked eye is that Celle is an ancestral home of Britain’s royal family, the House of Windsor. That connection has drawn unusual royal interest in this pretty place near Hanover. 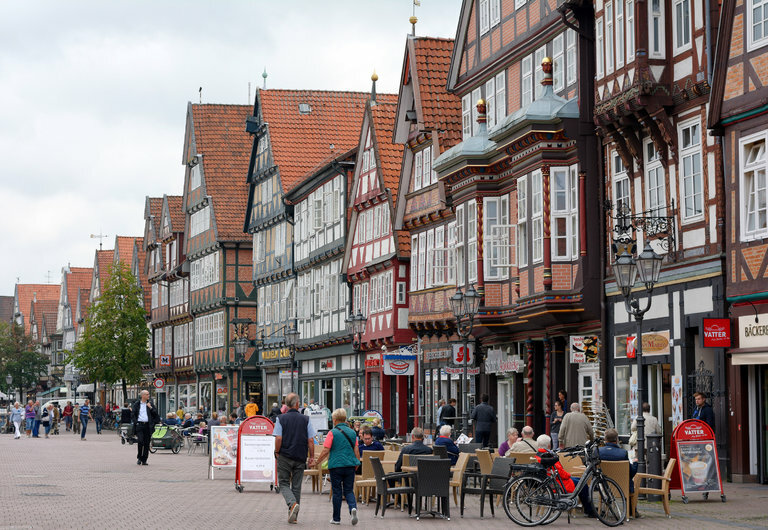 No other German town of its size — about 70,000 people — has seen anything like two visits from Queen Elizabeth II, as well as one in 1965 from her mother, known as the Queen Mum, and a walkabout by Prince Charles and Princess Diana, who visited in 1987. What ostensibly drew the modern royals to Celle (pronounced TSELL-uh) was partly the presence of British troops during the Cold War. But Queen Elizabeth II, who first came to Celle in 1984, returned last year, at age 89, in conjunction with her visit to the nearby former Nazi concentration camp at Bergen-Belsen, liberated in 1945 by the British. She was also following in the footsteps of her ancestors. What became the House of Windsor, or Welfen in German, originated in this area more than 300 years ago, when Queen Anne died childless. Her closer Stuart relations in Britain were barred from the throne by law because they were Roman Catholic, so Britain turned to Germany for a new Protestant monarch: George I, the Elector of Hanover and Anne’s second cousin. Celle was the hometown of George's wife, Sophia Dorothea. Caught in a marital tangle far crueler than the 20th-century woes of Charles and Diana, Sophia Dorothea was never able to see England, where her son would one day ascend the throne as George II. Before George I became king there, he took a mistress. Sophia Dorothea, for her part, fell for a dashing Swedish count, Philipp von Konigsmarck. The two planned to elope, but their plan was betrayed; the Swedish count was killed, and Sophia Dorothea, at 28, was divorced by her philandering husband, found guilty of “malicious desertion,” deprived of her children and imprisoned in a castle in nearby Ahlden. She remained there, essentially in captivity, for more than 30 years, until her death on November 13, 1726. Sophia Dorothea's fate is being specially honored this year — 350 years after her birth — with a series of guided tours and special exhibits. A “birthday surprise” is promised for September 10, when she was born.